Organizations are committing to hybrid as their long-term strategy for next-gen application innovation. Azure Stack adds an exciting new element for developing and operating new hybrid cloud solutions, helping you reach new customers by providing innovative services and delivering differentiated solutions. 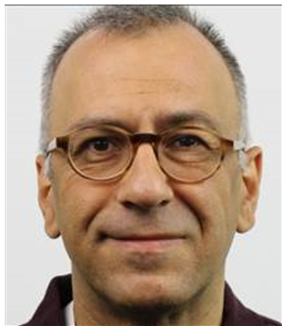 Cenk Ersoy has been actively working in the IT industry since 1991. He is currently the Technical Solutions Professional for Azure Stack, covering the MEA region as a member of the Intelligent Cloud division of the Global Black Belt Team. Prior to his arrival at Microsoft Cenk was an SAP Subject Matter Expert at EMC for MEA and Eastern Europe. Mr. Ersoy has over 20 years of IT experience in various positions such as Senior Technical Consultant, Senior Systems Administrator, Program Manager for several large scale Disaster Recovery projects, as well as IT Manager. His areas of interest are cloud computing, hybrid cloud, business continuity & disaster recovery, enterprise datacenters, SAP, and enterprise storage systems. His previous employers include firms such as Sprague Energy, Fidelity Investments, Servus, Hewlett Packard and EMC.